COLLEGE PARK, Md. 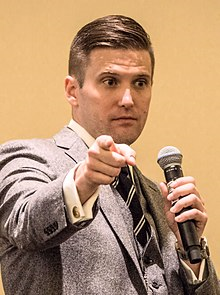 (AP) - The Internal Revenue Service has reinstated the tax-exempt status of a nonprofit operated by white nationalist Richard Spencer, who has been banned from using mainstream online platforms to raise money. Spencer's Alexandria, Virginia-based National Policy Institute Inc. automatically lost its tax-exempt status more than a year ago after it failed to file tax returns for three consecutive years. A letter signed by an IRS official says the nonprofit's reinstatement was effective July 12. Spencer says he learned of the change in August. 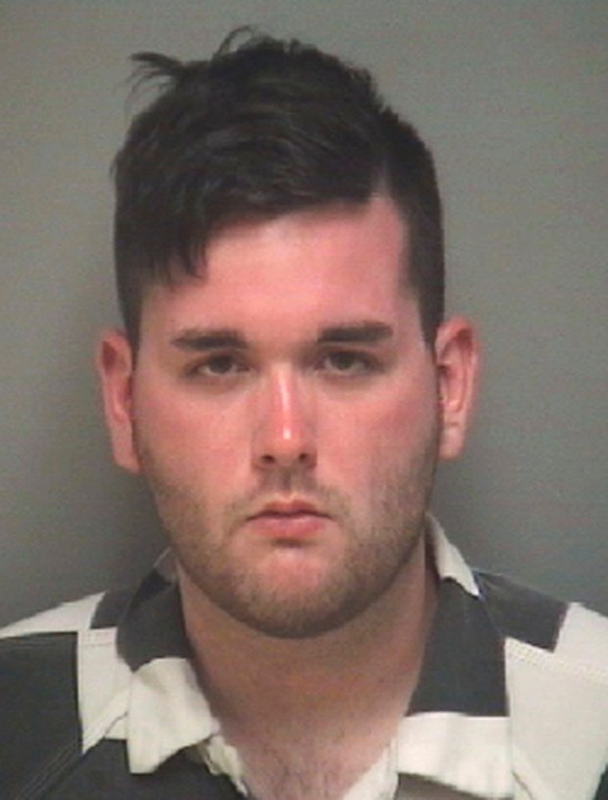 SAN FRANCISCO (AP) - A federal magistrate judge has ruled that a social media platform can be compelled to divulge account information belonging to a woman who anonymously chatted online about plans for last summer's deadly white nationalist rally in Charlottesville, Virginia. U.S. Magistrate Judge Joseph Spero's order Monday says the woman's First Amendment rights to anonymous speech don't outweigh the importance of disclosing her identity to attorneys suing far-right extremists over the rally's violence. CHARLOTTESVILLE, Va. (AP) - An organizer of last summer's deadly white nationalist rally in Virginia is seeking a court order allowing him to stage an event marking its anniversary. U.S. District Judge Norman Moon scheduled a hearing Tuesday on Jason Kessler's request for a preliminary injunction that would compel the city of Charlottesville to issue him a rally permit for next month. Kessler sued in March, claiming the city's refusal to grant him a permit tramples on his free speech rights under the First Amendment. 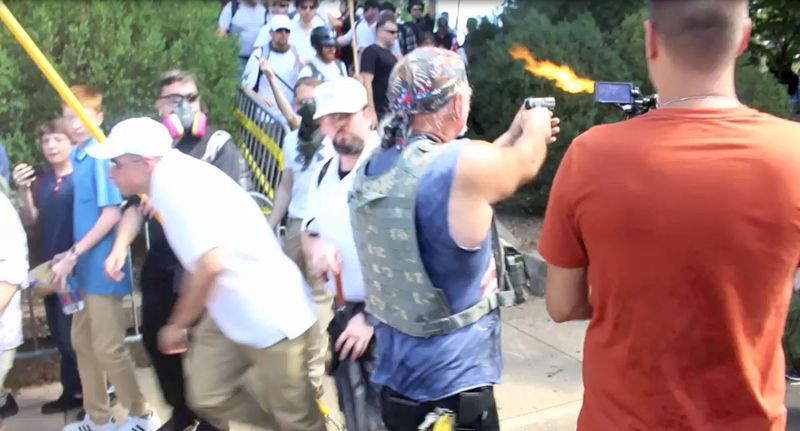 CHARLOTTESVILLE, Va. (AP) - A federal judge is mulling arguments from white nationalists and others that a civil rights lawsuit against them over last summer's violence in Charlottesville should be dismissed. A hearing on motions from a number of defendants was held Thursday in federal court in Charlottesville. The judge didn't immediately rule. 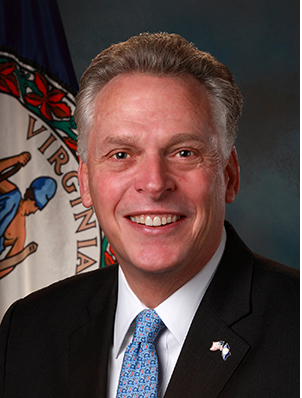 The lawsuit was filed in October by Virginians who said they were injured as a result of the August events. 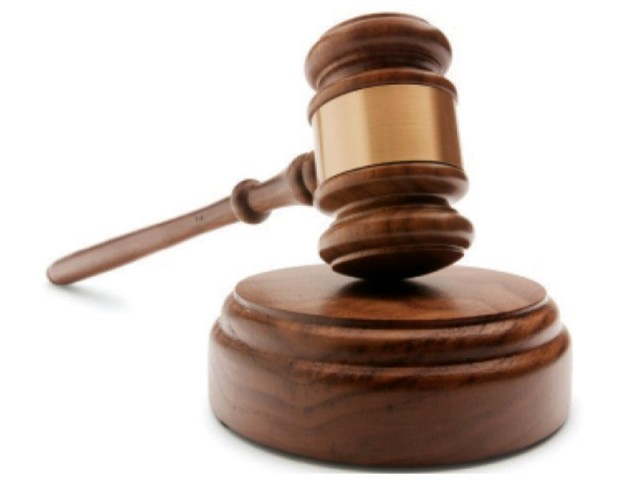 It alleges the defendants conspired to commit violence under the pretext of a rally. It was an effort to spark dialogue with students in the aftermath of the white nationalist rally in Charlottesville last year. 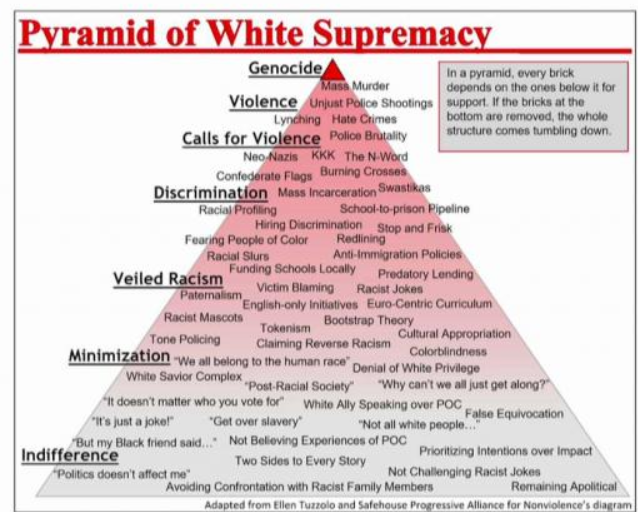 But the “Pyramid of White Supremacy” graphic used for a diversity class at Salisbury University has sparked controversy. It’s a one credit-course for those majoring in elementary education. Professor Erin Stutelberg says that she didn’t want her students to see white supremacy only through the eyes of groups like the KKK. CHARLOTTESVILLE, Va. (AP) - The organizer of the violent white nationalist rally in Charlottesville, Virginia, has lost his verified status on Twitter, along with several other prominent white nationalists and far-right conservatives. 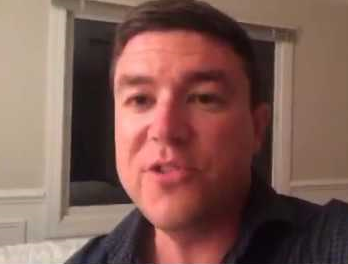 News outlets report Unite The Right organizer Jason Kessler on Wednesday lost the blue check mark that was bestowed upon him last month, a move that elicited backlash against the social media site from those who saw verification as an endorsement of Kessler's values or noteworthiness. RICHMOND, Va. (AP) - A review commissioned by Virginia officials found poor communication between state and local responders during a white nationalist rally in Charlottesville led to confusion about the "rules of engagement" with protesters. The International Association of Chiefs of Police conducted the review for a state task force convened after the August violence. Jim Baker, a consultant with the association, presented the findings Wednesday. CHARLOTTESVILLE, Va. (AP) - A Virginia judge has dismissed charges against nine counterprotesters arrested during a Ku Klux Klan rally in Charlottesville. 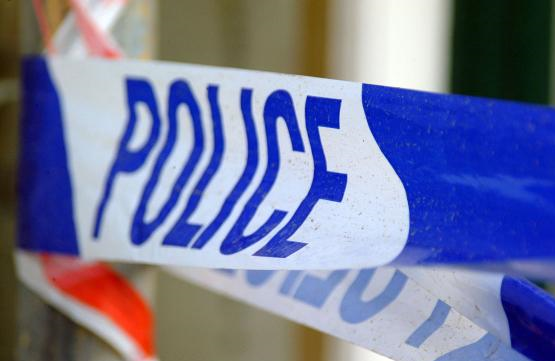 The defendants, who appeared in court Monday, were among several people charged with obstructing free passage and failing to heed police commands to disperse. 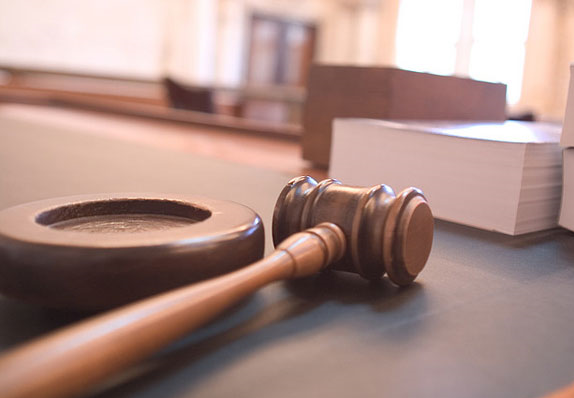 Two other defendants pleaded guilty to obstruction of justice and were ordered to perform 40 hours of community service. Three others had their cases continued. (AP) Authorities say a third person has been arrested in the beating of a black man at a white nationalist rally in Charlottesville, Virginia. Lt. Matthew Edwards is spokesman for the Lonoke County Sheriff's Office in Arkansas. 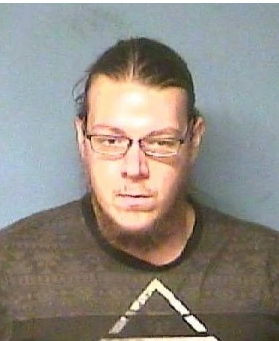 He said in a phone interview that 22-year-old Jacob Scott Goodwin of Ward, Arkansas, was arrested Tuesday on a warrant from Charlottesville by U.S. marshals near his hometown. Lt. Steve Upman, a spokesman for police in Charlottesville, says Goodwin is charged with malicious wounding in the Aug. 12 beating. CHARLOTTESVILLE, Va. (AP) - A study has found that a white nationalist rally that turned deadly in Charlottesville, Virginia, earlier this year drew participants from at least 35 states. 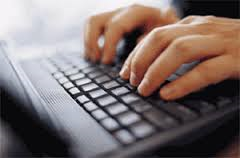 The New York-based Anti-Defamation League published its study Sunday. 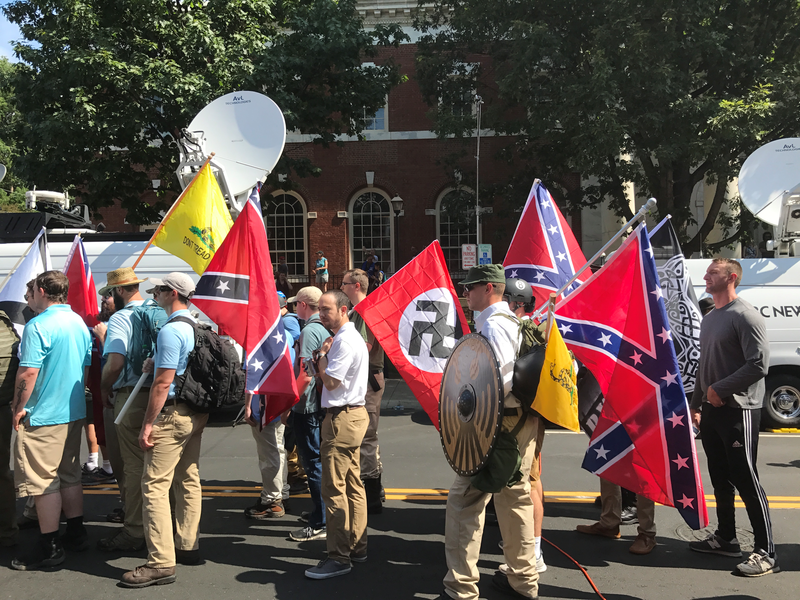 The league said it was able to identify about 200 of the participants who descended on Charlottesville in August. The rally drew a massive counter-protest. 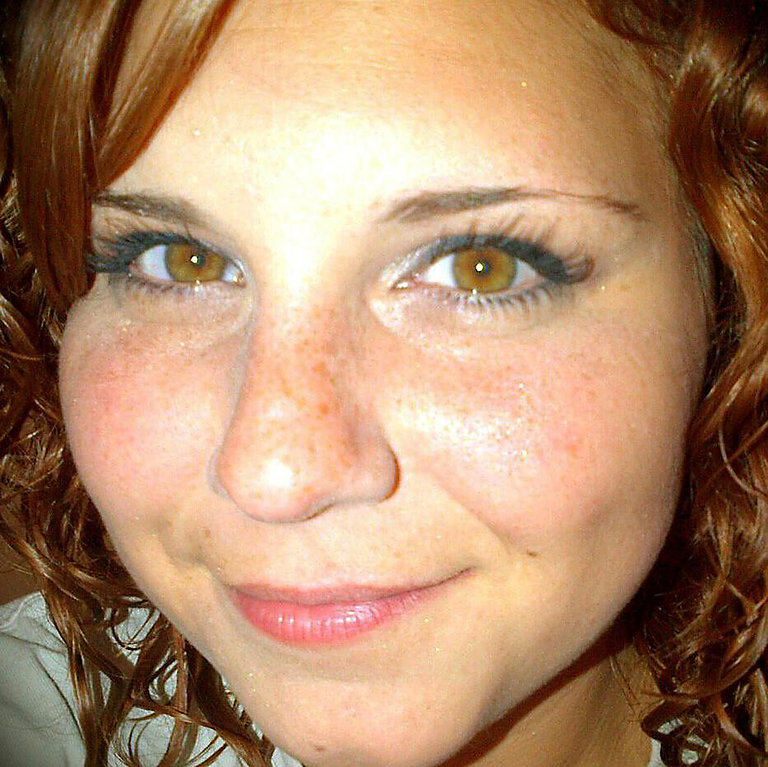 Heather Heyer, a counter-protester, was killed when she was hit by a car. 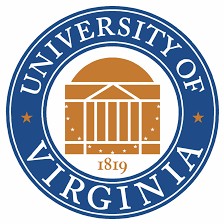 CHARLOTTESVILLE, Va. (AP) - The University of Virginia is donating to a medical fund for people injured during last month's white nationalist rallies, in a rebuke of a donation the Ku Klux Klan pledged to the university nearly a century ago. 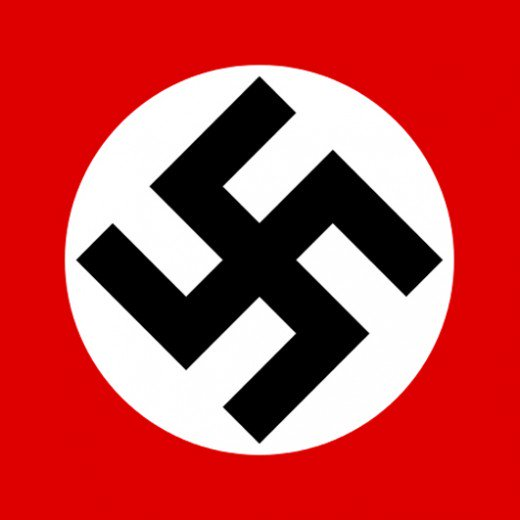 CHARLOTTESVILLE, Va. (AP) - A report from University of Virginia leaders says campus police responding to a torch-lit march of white nationalists on school grounds relied on incomplete intelligence and failed to enforce fire bans. Those findings were among others laid out in a report issued Monday by a group of deans and others. The group is studying UVA's response to the white nationalist rallies that roiled Charlottesville last month. WILMINGTON, Del. 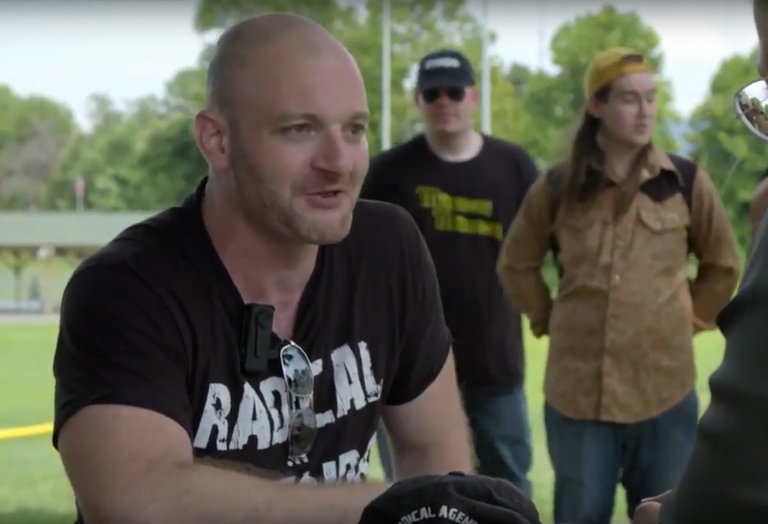 (AP) - A Delaware bar canceled a concert it planned to host after anti-fascist activists told an owner some of the performers have neo-Nazi ties. The News Journal reported Monday that local activists sent the co-owner of a Wilmington bar a 118-page dossier with photographs of band members. 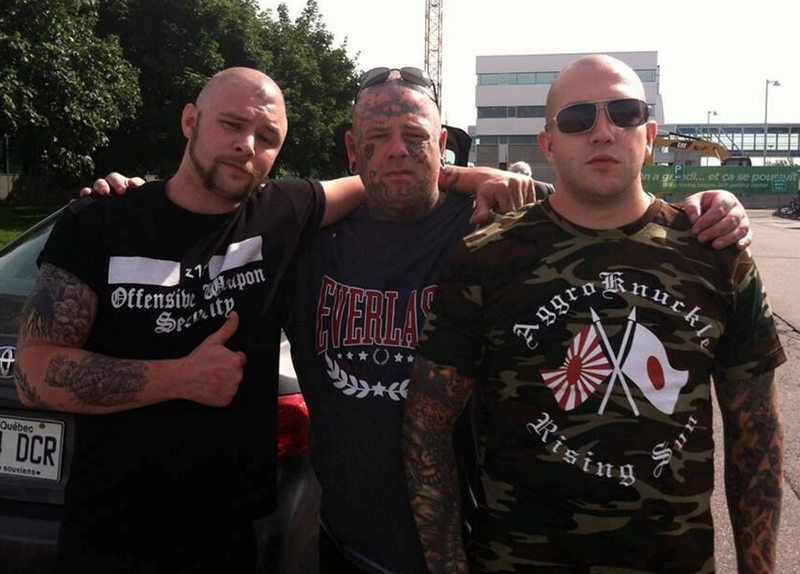 Some showed them with members of 211 Bootboys, a group the Southern Poverty Law Center calls a far-right ultra-nationalist skinhead crew. The bar's co-owner, Matthew Jester, scrapped the show and put together a fundraiser Friday for animals impacted by Harvey. 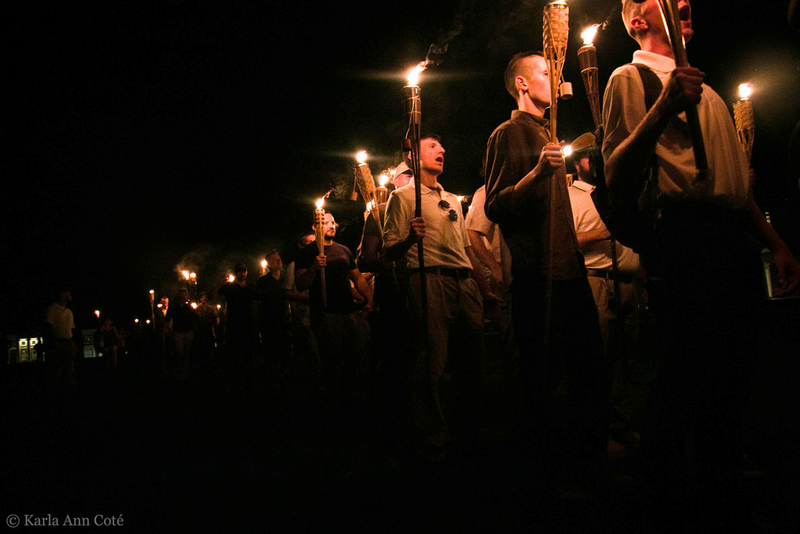 CHARLOTTESVILLE, Va. (AP) - The University of Virginia has hired a consulting firm to evaluate its safety infrastructure following a torch-lit march of white nationalists on campus. The Daily Progress reported last week that the university will pay Margolis, Healy & Associates around $250,000 to conduct the review. Spokesman Anthony de Bruyn says the university is prepared to "make additional investments in staffing and infrastructure" based on the firm's recommendations. 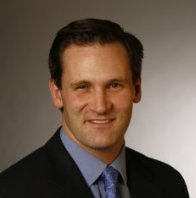 CHARLOTTESVILLE, Va. (AP) - Charlottesville's mayor is apologizing for a statement he issued about the city's response to a white nationalist rally that he says "impugned" the reputation of the city manager and police chief. Mike Signer addressed reporters after an hours-long City Council meeting Wednesday. 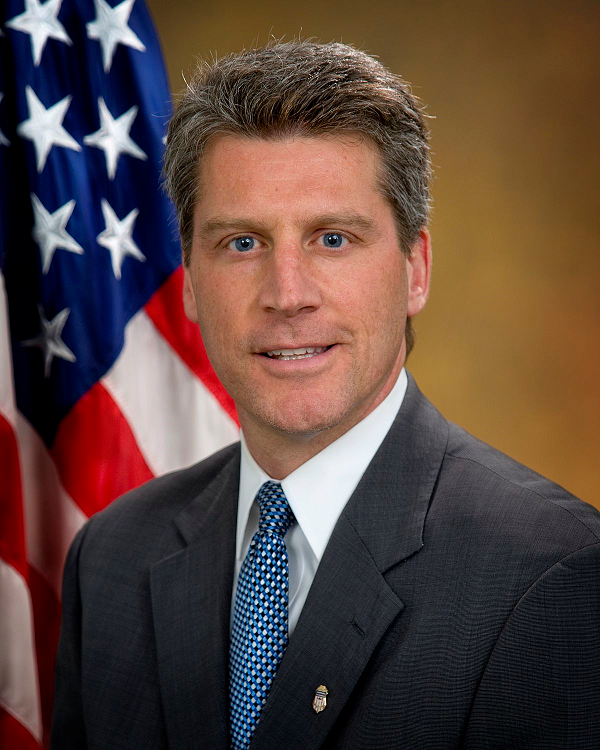 He apologized for the statement posted on Facebook, as well as other actions and communications, saying he had "overstepped" the bounds of his role. CHARLOTTESVILLE, Va. (AP) - Police report a white nationalist who says he pepper-sprayed a demonstrator in self-defense on the campus of the University of Virginia has turned himself in. CHARLOTTESVILLE, Va. (AP) - Charlottesville, Virginia, is planning to cover the statues of Confederate Gens. Robert E. Lee and Thomas "Stonewall" Jackson in black fabric. The Daily Progress reports the city council voted unanimously early Tuesday to shroud the statues in fabric to represent Charlottesville's mourning of Heather Heyer. The 32-year-old woman was killed Saturday when a car rammed into a group of people protesting a white nationalist rally in the city. The rally was sparked by the city's decision to remove a statue of Lee.